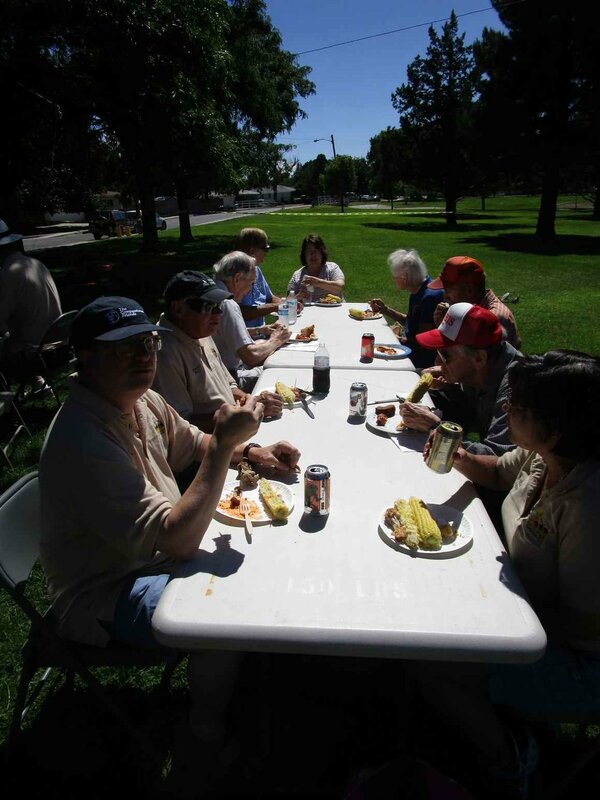 The Albuquerque Radio Caravan Club held its annual Corn Feed at lunchtime in Montgomery Park under perfect weather. We had about 20-25 hungry hams join us for this popular event. It started out with Steve KD5RHR setting up his radio early withhe and a few others making a some contacts before the food arrived at noon. 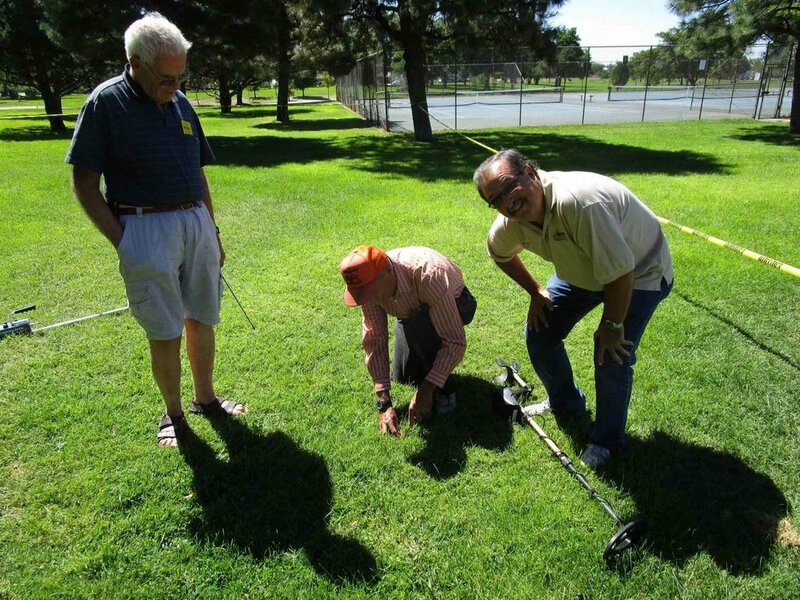 In addition, Dave KE5VSC demonstrated his metal detector in the park and found…not much. 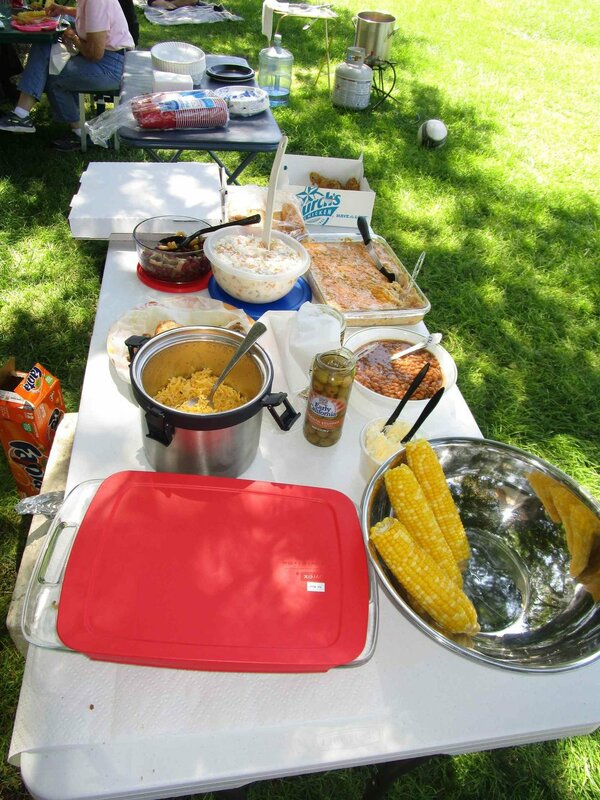 At noon, all play stopped and we turned our attention toward the purpose of our outing…Moriarty-grown, freshly cooked sweet corn as well as potluck offered by our participants. Pizza seemed to be the most popular offering (4 ea.) with others bringing tacos, chili, lasagna, meatballs, ambrosia salad, deviled eggs, breads and a berry pie. In addition, one of our newest members, Guylaine AG5FR, blew us away with a very generous six buckets of KFC cooked three different ways. Can’t beat fried chicken and sweet corn for a picnic! After lunch it was time to sit back, visit for a while and then head for home to well earned naps. The Amateur Radio Caravan Club hosted its traditional Corn Feed on Saturday, September 12th. This year we added a new feature: Radios. 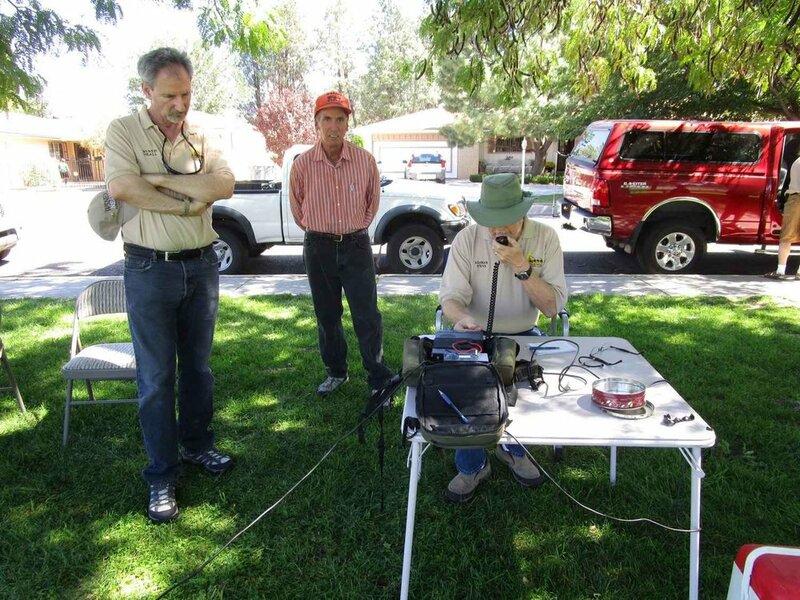 A few hours prior to our noon potluck, Terry K7XR and Gary N5GVL set up their respective rigs to make some contacts. By noon a hungry crowd had arrived with their favorite dishes and were ready to eat so we shifted our focus from radios to food. Of course, by then, fresh sweet corn, provided by the club, had been boiled and was ready to eat. After lunch we sat around for an extra hour visiting with fellow club members as we digested lunch.